The community have plenty of hints and tips for the Gameweek 13 preview. How should you prepare for the festive period and which assets are worth transferring in? In the Gameweek 13 preview, there’s plenty of fixtures coming up, with a shift in difficulty as we have more data available to us. It’s Liverpool who top the charts for FPL Vs over the next 6 gameweeks: will you be holding firm on Salah? 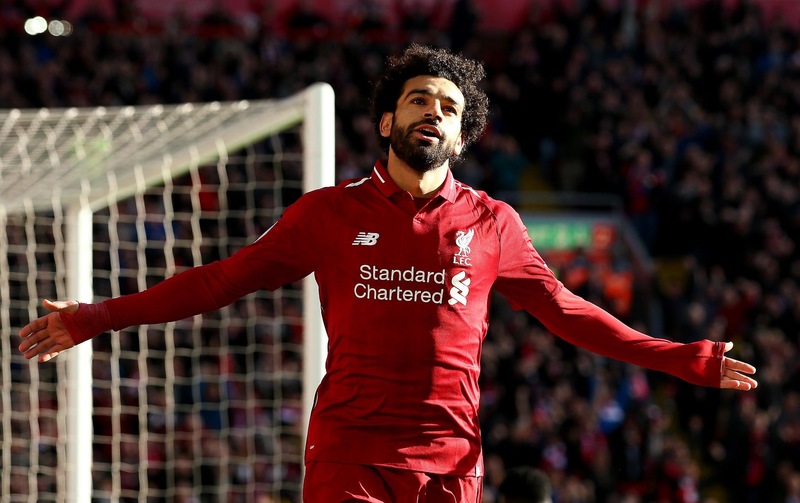 Salah is a popular option for the Gameweek 13 preview, particularly as a captaincy contender. He’s had a quieter International Break than usual and has an outstanding record against his opponents Watford. Egypt's friendly against UAE on Tuesday has been cancelled, so just one friendly for Salah during this break (Tomorrow). An 8-day rest for Mo before Watford. Salah may be lagging behind other options in terms of points per match, but he’s incredibly consistent. Hazard, Alonso and Mane are the explosive options, managing double-digit returns on 4 occasions this season. Max has plenty of statistics in terms of expected goals for the Gameweek 13 preview. Manchester City appear to be in a league of their own, but there’s some interesting standout options here: Bournemouth should be considered despite tricky fixtures. Spurs look on paper to be a good team to invest in as the festive period emerges, but FPL El Clasico has an interesting take on their run. It’s the Cup competitions which could detract from their seemingly advantageous run in the Premier League. A lot can be learnt from previous seasons when it comes to festive rotation. FPL Scout provide an excellent article targeting minutes played by some of the most popular FPL assets this time last year. Who’s safe for investment? 🎄 It's the most wonderful time of the year – but not for Fantasy managers. We look at the fixtures played by various #FPL players over the Christmas period in 2017/18 to see how rotation might affect them in December/January of this season. The holiday fixture pile-up is one of the key discussions points on the Always Cheating podcast, as well as the all important Mendy replacements. Can Martial continue his run of form despite some concerns in the underlying statistics? Replacements for Ben Mendy has been a popular topic for the Gameweek 13 preview. FPL Logic provided an excellent thread on Twitter over the break which has had the community very engaged. Which one will you opt for? It is Everton’s Lucas Digne who features as a decent replacement in the FPL Tips watchlist video. Elsewhere, Martial grabs the headlines once more and there’s plenty of anticipation for Arnautovic with his favourable run of upcoming fixtures. Arnautovic is the key player from West Ham. Talisman theory could be key during this period of the season. The WGTA team look at all the key data in their article update, which includes a variety of teams and positions. We'll return to this later in the year, plus pod on it on Monday. Manchester City have one of the biggest points spreads in FPL, with plenty of their players among the attacking returns. FPLDontTakeTheL gives an interesting take on their rotation for the Gameweek 13 preview. The Gameweek 13 preview is brought to you by our Daily Fantasy Partner, Starting 11. There are contests available for Saturday’s games this weekend, as well as their new Mini League feature! 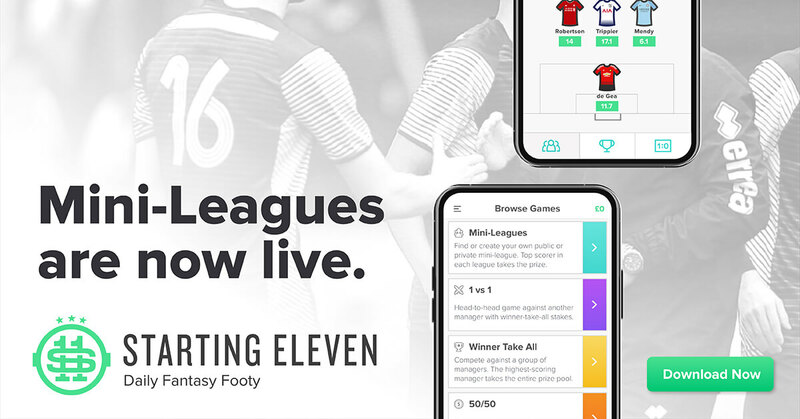 If you’re interested in playing Premier League Daily Fantasy Football with us and many other community members this season, please download the FREE Starting 11 app today by clicking the banner below – available on Android & iOS.